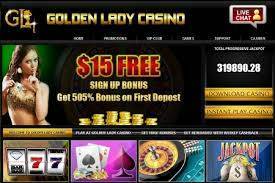 Golden Lady casino is powered by Rival gaming software. It offers almost 200 casino games, including over 150 slots. You can play all the games in Instant play mode or by download the software. We would recommend the download version since the variety of games there is wider and it’s just more comfortable and fluent. 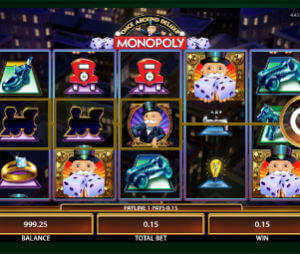 Golden Lady casino offers high % bonuses, so if you are looking for extended play time – this is a good place to start. The downside is that some of them have high wagering requirements. First, new players can try Golden Lady with a $15 No deposit bonus. The chances to win here are not high due to 90 times wagering requirement, however it gives you an option to take a look at the casino, try the games and maybe win some money on the way. One of the highest bonuses available online. For every $100 that you deposit you will get additional $505 to play with. This is a great bonus to extend your play time. The playtrhough is a bit above the industry average – 40 times bonus + deposit. This is the bonus we find most recommended. It is lower than the one above, 200% up to $1000, however it gives much better odds. You will need to wager bonus and deposit 30 times. Golden Lady also has a Refer a friend bonus. Withdrawal Methods: Bank Wire Transfer, Neteller, Skrill. With e-wallets it takes 3-5 days for the funds to hit your account. Wire transfers take 10-12 days. Golden Lady is a mobile friendly casino. The variety of games is naturally smaller than on desktop version however there more enough mobile slots to keep you occupied. Currently there are close to 40 mobile slots and few other casino games and new games are added each month. You can contact the support through Live chat, email or toll free number. Live chat is the most comfortable option – the average response time is few seconds. . The support is available 24/7.